Blue Utopia is a political campaign management software for progressive candidates and nonprofit organizations. Phone2Action is a digital advocacy and communications platform for grassroots advocacy and public affairs. With IQ4 you can build enduring and effective relationships with your constituents through social engagement, powerful eCommunication tools, intuitive constituent services, and enlightening analytics. BSD Tools are designed to help you manage and grow inspiring, impactful digital programs. This political campaign software suite includes tools for fundraising, advocacy, communications and analytics. Ecanvasser is a simple and affordable political canvassing software that helps get your political campaign organised so that you can spend less time planning canvasses and simply start canvassing. ActBlue is a payment technology system. Organizer is a political campaign management tool for managing canvassing efforts. The tool has a web management console and a mobile application counterpart. Patriot is a web-based system designed to support the common needs of non-profit organizations, politicians, and other political organizations. VoterCircle is a friend-to-friend outreach platform that dramatically reduces the time and cost of reaching voters. 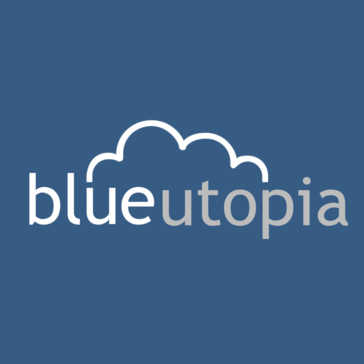 * We monitor all Blue Utopia reviews to prevent fraudulent reviews and keep review quality high. We do not post reviews by company employees or direct competitors. Validated reviews require the user to submit a screenshot of the product containing their user ID, in order to verify a user is an actual user of the product. Hi there! Are you looking to implement a solution like Blue Utopia?